Are you looking for something fun and creative to do Thanksgiving weekend? Then please come join me and a flock of other talented artisans at the 13th Annual Walpole Artisans Tour! I will be showing my found object art and jewelry in my colorful, newly designed art show booth. Look for me at the Walpole Town Hall at 34 Elm Street in Walpole, New Hampshire, on Friday and Saturday November 27th and 28th from 10 am to 5 pm. I will be offering a free gift with every purchase of my art or jewelry during the art tour! Mixed media artist Loribeth Robare and I also invite you to join us in making paper ornaments using vintage maps, book pages, and other ephemera. We will provide instructions and materials free of charge throughout the day Friday and Saturday. I occasionally teach workshops and take part in art tours and shows. If you would like to be notified of upcoming events, email me at info@visualapothecary.com. Want to make your own found object jewelry? 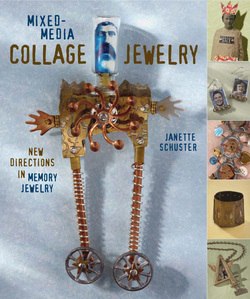 Then look for my book, Mixed-Media Collage Jewelry: New Directions in Memory Jewelry (published by Lark Books)! The book showcases 25 innovative how-to projects created by myself and 11 other talented jewelry artists, including Thomas Mann, Stephanie Rubiano, Linda O'Brien, and Amy Hanna, just to name a few. In it, I show you how to use your own personal keepsakes, including vintage and new family photos, travel souvenirs, and found objects, to create one-of-a-kind wearable art that celebrates your life events, relationships, and passions. 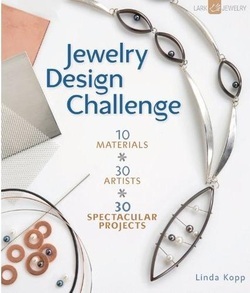 I am honored to be one of 30 modern jewelry artists invited to contribute to the book Jewelry Design Challenge. Each artist received a box containing nine jewelry supplies, with which we were challenged to create a piece of jewelry using only those items, plus one material of our choice. The book includes instructions for my reversible Courtship Necklace. 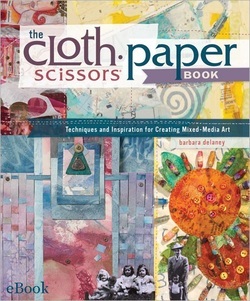 I also contributed an article about transferring images on metal to The Cloth Paper Scissors Book. You can also find my article in the winter 2005 issue of Cloth Paper Scissors magazine. 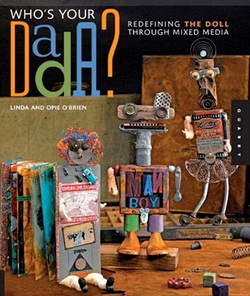 One of my assemblages, a tin-can robot, is featured in the book Who's Your DADA? : Redefining the Doll through Mixed Media, written by my talented friends Linda and Opie O’Brien.